It is astonishing how many natural things you can transform into cool and practical diys for the home and self. Take, for example, this plain ol' driftwood that Chelsea of Lovely Indeed used to create a simple bohemian hanger. Isn't it super sweet? Follow her easy and detailed tutorial here. Note to self: Never return home from a trip to the beach empty handed. P.s. A pretty diy with pebbles. 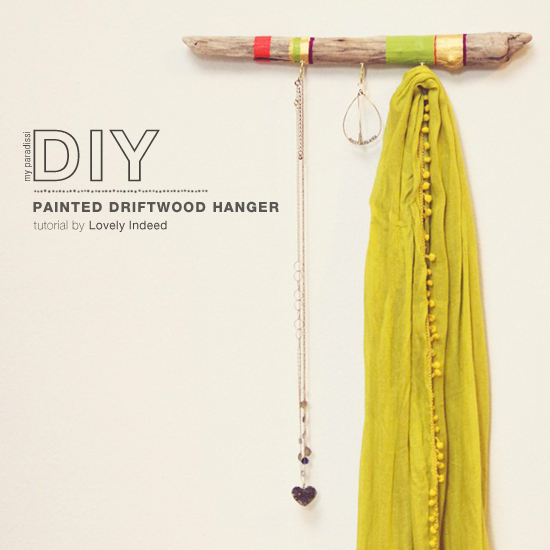 4 comments on "DIY: Painted driftwood hanger"
Such a simple but clever idea! Love the gold too. Have a great weekend, Eleni!